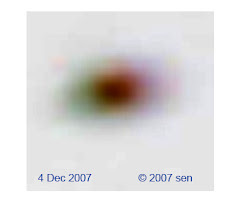 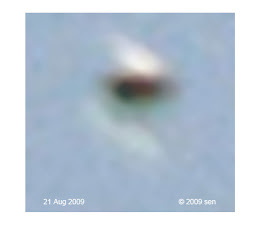 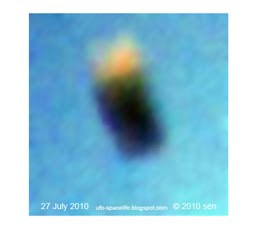 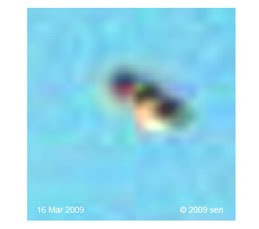 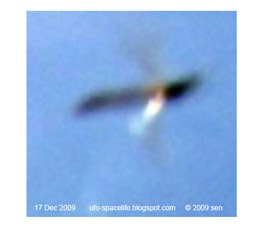 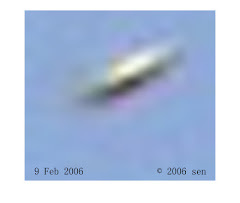 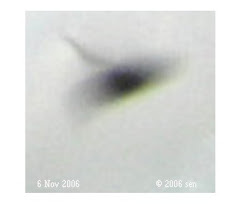 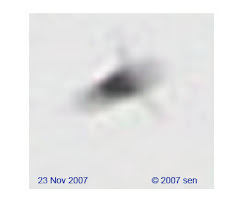 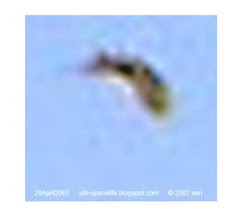 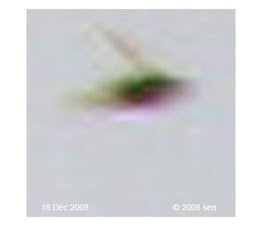 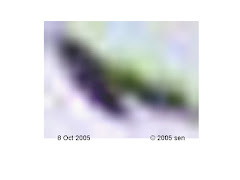 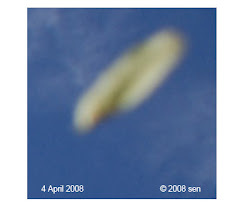 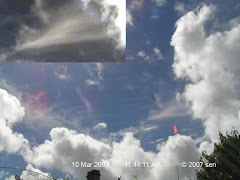 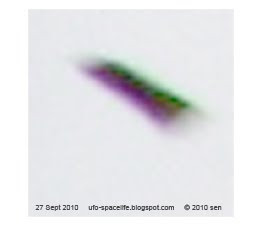 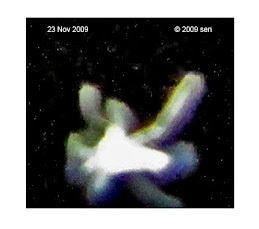 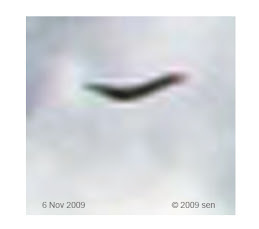 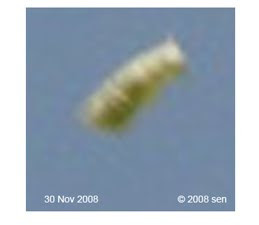 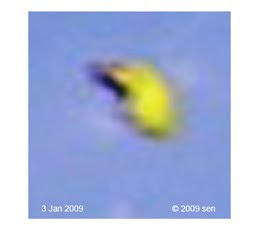 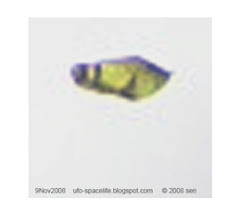 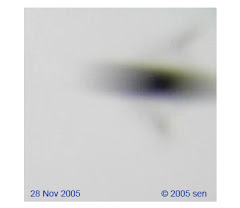 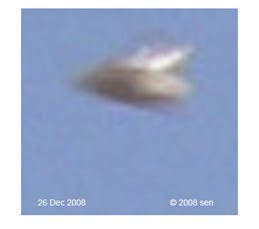 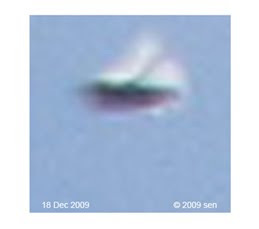 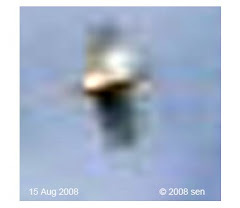 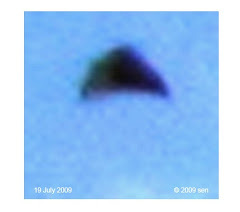 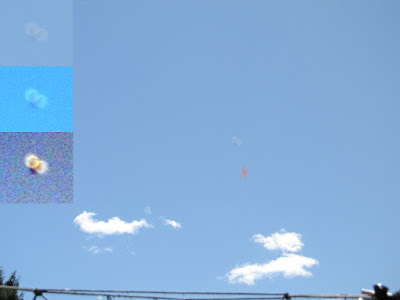 A group of 7 continual photos were taken on 13 Nov 2013 showed two small white orbs jumped out from a big white oval shape UFO, they moved around in front of me, both orbs back together emitted golden color light. 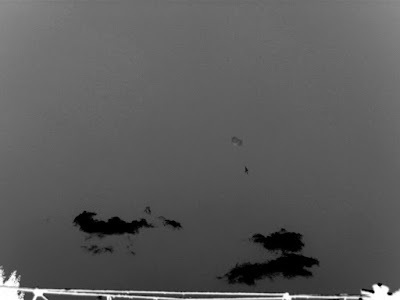 Then they disappeared. 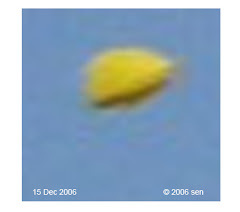 This episodes only takes less then 2 seconds.